Von 26. Mai bis 3. 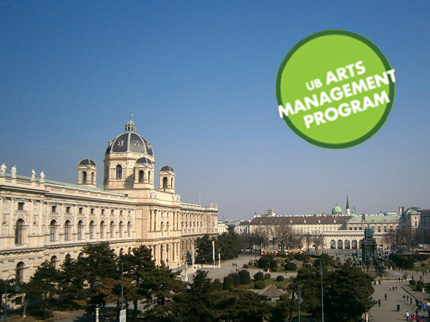 Juni 2014 gastierten zehn Studierende des „Arts Management Program“ der University at Buffalo/NY in Wien und beschäftigten sich im Rahmen einer neuntägigen Studienreise mit dem Thema: "Mainstreaming migrants or tourists? Towards a new relationship between cultural and integration policy: cultural offering in a demographically changing environment”. EDUCULT wurde mit der Programmierung und Organisation der diesjährigen UB Summer School beauftragt und bot den angehenden KulturmanagerInnen praxisnahe Inhalte anhand einer vielfältigen Auswahl an ReferentInnen und Institutionen. Neben der Kernfrage, warum Kulturmanagement betrieben wird, sind die Leitmotive des Instituts für „Arts Management“ gesellschaftlich und kulturell geprägt. So steht die längerfristige Beziehung zwischen Kunst und Gesellschaft, sowie das Verständnis von Politik und die Verortung internationaler Kunst- und Kulturorganisationen und deren Beziehungen zum Staat im Fokus des Lehrgangs. Nach Singapur, der Biennale in Venedig, den skandinavischen Ländern Schweden und Finnland sowie Frankreich und mit der Kultur- und Integrationspolitik als Themenschwerpunkt wählte die Universität Buffalo diesjährig Österreichs Bundeshauptstadt für ihre Studienreise aus. Künstlerisch bunt und vielfältig im Spannungsfeld zwischen Hochkultur und community-basierten, partizipativen Angeboten kann Wien zahlreiche bestandene und noch zu bewältigende Aufgaben im Bereich der kulturellen Integration aufzeigen. Ziel dieser Studienreise ist es mittels kulturellen Austauschs regionale und internationale Gemeinsamkeiten bzw. Unterschiede kulturpolitischer Fragestellungen und Umsetzungsmöglichkeiten perspektivisch zu erforschen. Unter der Thematik "Mainstreaming Emigrants or Tourists? Towards a new relationship between cultural and integration policy: cultural offering in a demographically changing environment” erlangen die Studierenden Einblicke in die hiesige Kunst- und Kulturszene aus kulturpolitischer, vermittelnder, organisatorischer und kuratorischer Sicht. Hierbei wird die Thematik der Kunst- und Kulturpolitik mit einer weitergefassten kulturellen Perspektive, auch mit Rücksicht auf eine vergangene und noch bestehende Xenophobie, ins Auge gefasst. EDUCULT konzeptioniert und organisiert das diesjährige Programm der UB Summer School in Wien und freut sich auf spannende Diskussionen und Erkenntnisse! "Conclusion of the post mortem was the summer school in Vienna was an intensive, successful project, which made sense in regards to topic and speakers. It offered students insight into a complex cultural landscape and its contradictions, which were not ignored but analyzed. 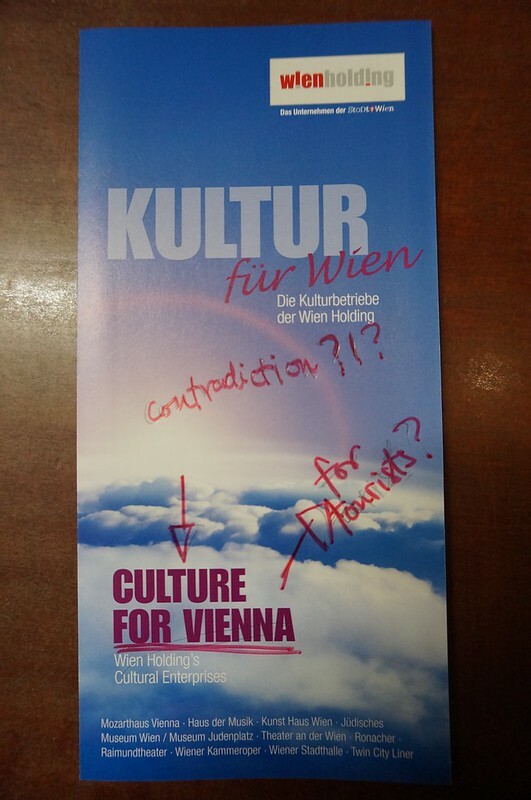 Hence, the naturally stereotypical image of Vienna and its culture was shattered so that in conversations and discussions with important cultural policy and arts management theorist and practitioners a new elaborated understanding of Vienna was formed. One which, I am sure, will make a lasting impression and to which students will turn when confronted with arts management issues in their own professional lives." "When visiting cities, it is easy to be trapped by what I consider the “marketing plan;” i.e. the concepts, ideas, and happenings a city wants you to see. It might also be referred to as the projected image of the city by a city’s tourism board. EDUCULT swept us past this barrier, exposing Vienna’s cultural underbelly which allowed our students to start their critical analysis. The well-rounded, extensive, and intensive itinerary gave our students a glimpse at the spectrum that is the Viennese cultural scene. […] On the whole – as we reflect back on the summer school 2 months later – we continue to marvel at the depth and scope the summer school managed to cover in 8 short days. 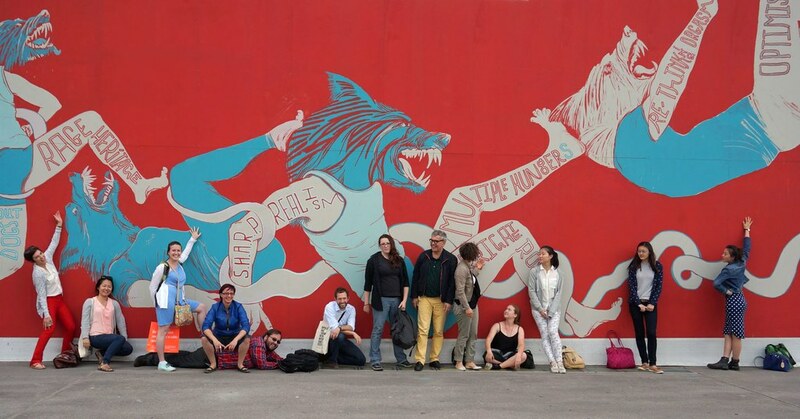 The Summer School in Vienna with EDUCULT was precisely the immersive, research driven experience the UB Arts Management Program was looking for." 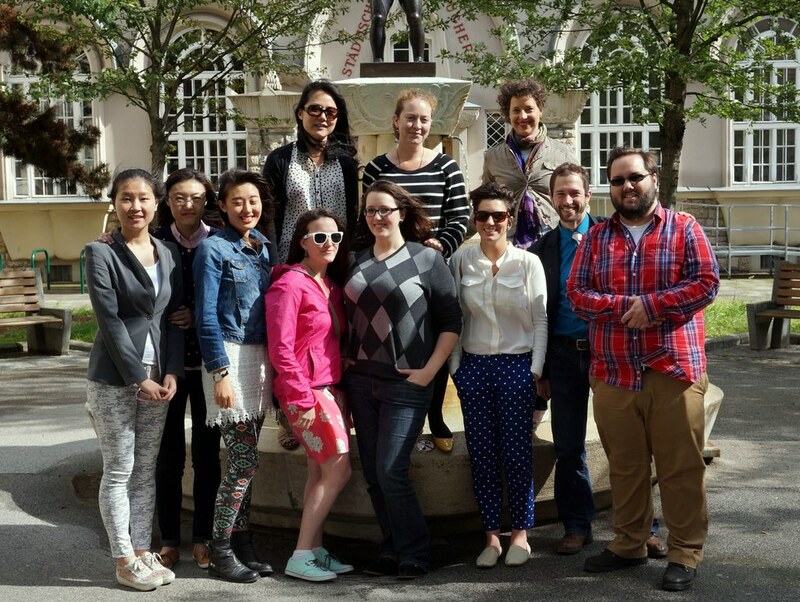 On May 26 we welcomed the students from the arts management program from the University at Buffalo to Vienna with typical Viennese food and Austrian beer. The next day we started our program with a guided tour through the MQ – MuseumsQuartier Wien with Esther Brandl and got in touch with Molly Roza from the Austrian-American Educational Commission (Fulbright Commission), artist in residence Rachelle Beaudoin, Amar Rajkovic from magazine BIBER and Lorenz Seidler from eSeL. With Klaus Werner-Lobo (Green party) and Gerd Valchars (Initiative Minderheiten) we discussed "Correlations between cultural and integration policy in Vienna". 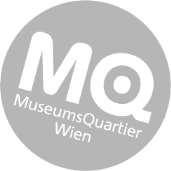 At mica – music austria executive director Sabine Reiter told us about their approaches to support the Austrian music scene. The second day of our summer school we discussed "conceptual approaches towards cultural policy in Austria" with Monika Mokre (Österreichische Akademie der Wissenschaften), Marty Huber (IG Kultur Österreich) and Dagmar Abfalter (Institut für Kulturmanagement). After discovering the quater around Brunnenmarkt, we had a site visit at Brunnenpassage where we talked to Monika Wagner (Hunger auf Kunst und Kultur), Cosima Sindlhofer and Sedjro Mensah (Kulturen in Bewegung) and Anne Wiederhold (Brunnenpassage) to the issue of "low-threshold, partizipative access to culture". Ula Schneider from festival Soho in Ottakring guided a tour through the quarter Sandleiten with many different exhibitions of the present art and urban district project. In the morning of May 29 Michael Wimmer, director of EDUCULT, gave a lecture to "cultural policies in European cities". Afterwards we took the shuttle bus to ESSL Museum and met Mela Maresch to talk about tourism and arts education in a suburban museum. In the monastery of Klosterneuburg Katja Brandes we gained insight of the relation between tradition and targeting new groups with instruments of arts education. In the evening the famous summer nights concert at Castle Schönbrunn was an experience for mainstream classics for masses. Day 4 started with "learning from practice." We discussed with Wolfgang Schlag (Into the City), Magdalena ?elasko (LET'S CEE Film Festival) and Can Gülcü (Wienwoche) the importance of their activities for a manifold cultural life of the city and the challenges of funding a festival in Vienna. Alfred Stalzer (Stalzer & Partner PR agency) introduced the big venues of Vienna that are united at Wien Holding and showed figures in finance for tourism marketing. In small groups we reflected on the different aspects that varying initiatives and venues are facing in Austria and the distinctions to other countries such as USA, China and Korea. Before the Gezi Concert at Volkstheater Wien, Asli Kadayifci (intern at EDUCULT) introduced the situation of democracy and revolution in Istanbul. On Saturday we met Constanze Wimmer who talked about "current activities and trends of learning programmes at orchestras and concert halls" in Europe and discussed if or why music mediation is important to involve audiences actively. 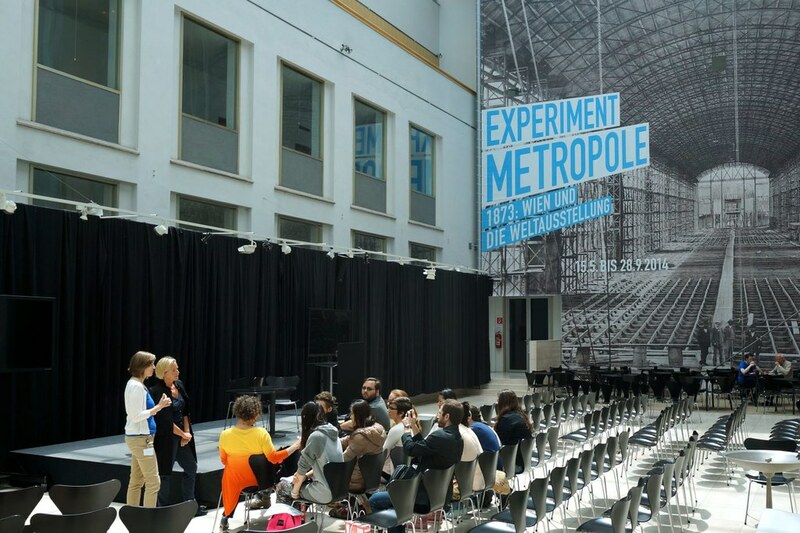 Afterwards we learned about the history of Vienna to art, fashion and modern culture at Wien Museum and with Isabel Termini and Irmi McGuire we went on a guided tour through the present exhibition "Experiment Metropole". At "learning from practice 2" we got acquainted to further festivals: donaufestival with Tomas Zierhofer-Kin and K'laus M'oser, ImPulsTanz – Vienna International Dance Festival with Rio Rutzinger and brut Wien imagetanz with Katalin Erd?di. At Wiener Konzerthaus Matthias Naske talked about funding and audience developement in one of the major concert halls. In the evening we went to Volksoper Wien for the ballet Carmina Burana, Bolero and Nachmittag eines Fauns. On Sunday we visited Radio ORANGE 94.0 and Barbara Huber told us about the various groups that are broadcasting at the Viennese city radio and their financing approaches. At WUK we were guided by Regina Picker and got insights into the 12000 square meter space for culture, workshops and social gathering, but also had a unique panoramic view on the roofs of Vienna. In the evening we gained insights into "facing the monument" of Into the City by Wolfgang Schlag, Luigi Coppola and Nina Gasteva. On our last day we visited Literaturhaus Wien and deputy managing director Anne Zauner talked about diverse activities in this center of contemporary Austrian literature. At Volkstheater Wien the head of marketing Beate Schilcher presented their projects on tradition and migration. 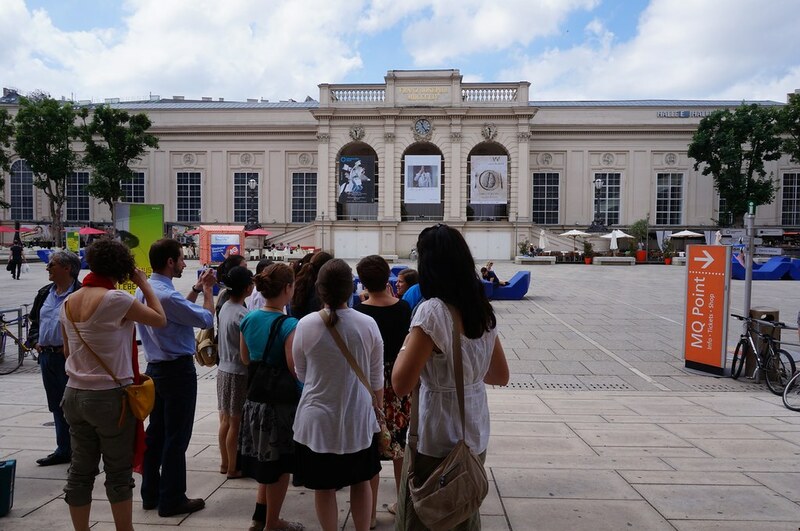 In the afternoon we reflected the intensive summer school week with lots of interesting site visits, lectures and discussions on the theme “Mainstreaming migrants or tourists? Towards a new relationship between cultural and integration policy: cultural offering in a demographically changing environment”. The farewell dinner took place at Heuriger Sirbu at Kahlenberg with a panoramic view of Vienna. We enjoyed it so much being the host for our guests from University at Buffalo – was nice meeting you and we wish you all the best for your future as arts managers!